As I close my eyes and drift away to a land where there is love, joy, peace, and blessings. I wanted to take a moment to think and reflect. The truth is that I was taking the time to reflect on the time that I went to watch: The Fast and The Furious with daughter, on this previous weekend. It is not really the type of movie that I would normally go to watch, but our daughter really wanted me to go with her, so I did. It was an interesting film, which depicted two very different sides of human nature. One being the desire of family, and to keep family together, and the other was to destroy family, to destruct family for the sake of selfish needs, desires, power, and greed. It reminded me much of real life scenarios. What I truly found the best about this film was the moral at the end. The moral was to never turn your back on family. Families should never turn their back on each other. However, as with any relationship, they are nurtured through exchanges. In times of happiness or sadness, family tries to be there for one another. But what happens when there is no repair when breakdowns happen? The familial relationship ceases to exist in the outward form. But human memory, bonds of blood cannot be detached. These will always remain. Bonds can never be broken, even if they are not seen in the external form. Think of the baby, or even yourself. Look at the belly button, the sign of a divine connection between a mother and a child, can this ever be taken away? Or the heart - The bond of the heart can never be broken. Love Is Pure. We cannot force love from anyone, even if it is the closest of family, but bonds can never be broken. To gain something in life there will always be a sacrifice. 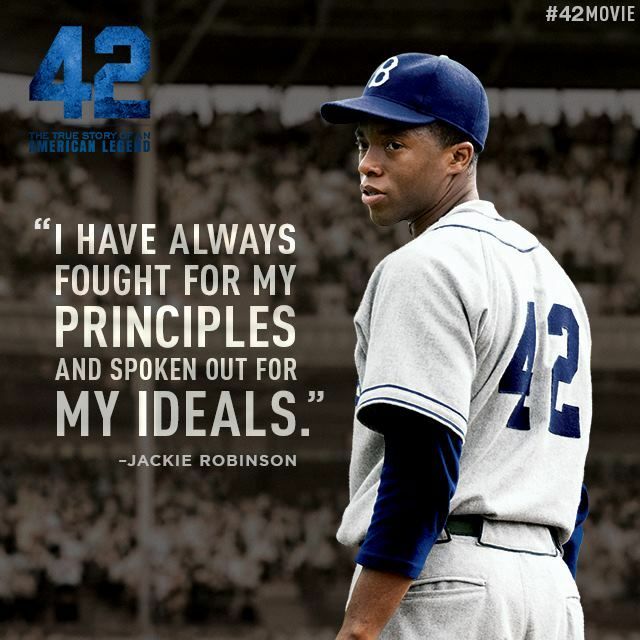 This thought reminded me of the film Jackie Robinson 42, which I also watched. This film was emotionally challenging, yet it was revealing the harsh histories faced by black people in the United States of America. This film also inspired me because it also showed one mans desire to have a (person of colour) black man on a baseball team, this desire led to a revolutionary gaze. It shows an intermingling of the races. This at the time was very powerful, to have a person of colour on the team. This act was more than having a racialized person on a team. It was a value that was being embodied in the outward form. A value of seeking and striving for the principle of equality. Jackie Robinson faced the deep wounds of inequality, biases, prejudices, stereotypes. Imagine playing for a team where most of the fans in the stadium are making fun of you. Can you imagine this? Can you imagine the chants of hate? Can you? However, with progressions we see how Robinsons' team members begin to respect him and take a stand for him. This shows that when there is team work, when team members seek to work together anything is possible. It also shows the lasting effects of the words of a coach. Sometimes harsh words that are out poured, shine through with talent and resilience. Baseball or any game is actually more than a game. It is a chance to represent your state, it is a chance to represent your country, and further a chance to represent. and stand for the values that are cherished by a nation. Notes: These thoughts were originally hand written on 23rd of April and completed on the 25th of April.